Have you always watched the amazing skate dancers of New York and wished you could learn moves like that? Well now you can!! Learn hot roller disco dance moves from one of the most highly regarded skate dance instructors in the world, Tanya Dean. Each class in our 5 week series will focus on a different skill or trick. 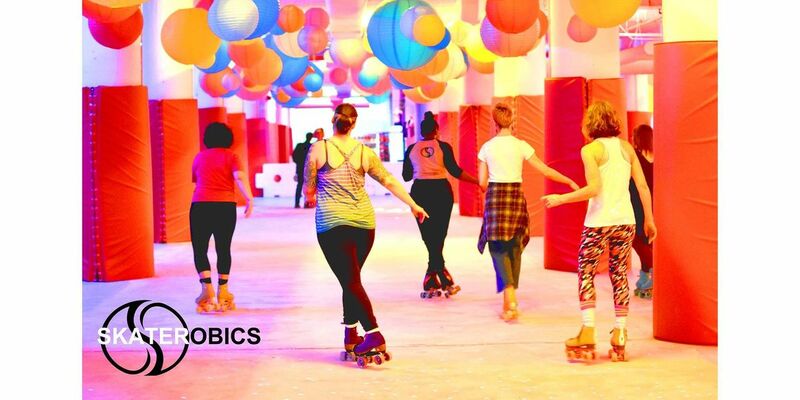 You are welcome to purchase a single class, but we recommend attending the full series to get a full roller skate rainbow spectrum of moves!Admission price includes skate rentals! 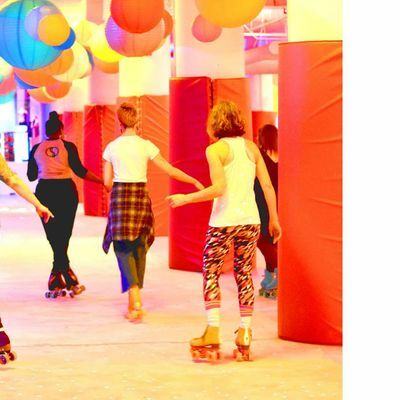 Class admission does not include entrance to our Dreamland Roller Disco event after the class. This ticket must be purchased seperately.This class is for adults 21 and older! Over the last 20 years Tanya Dean has served as a role model and mentor to many people helping them feel accomplished, inspired, and confident in her weekly roller skating classes. Tanya is a Two-Time NewYork City Golden Glove Boxing Champion, a retired New York City Correction Captain, certified boxing, zumba and roller skating instructor, a personal trainer and group fitness instructor. She authored the book “The Power of The S.K.A.T.E..” in which she lays out her vision behind SKATEROBICS® and why she considers it such a useful toll and activity when it comes to helping people. Her company was featured in the “New York Times, metro city section where they were dubbed, “A Rolling Party.” and HBO’s Mixedtapes and Rollerskates! SKATEROBICS® has also been featured on Verizon Fios News segment “Push Pause” which covers healthy lifestyles. Lola Star's Dreamland Disco advance tickets and packages are only valid for the date indicated on the receipt. Tickets/Packages are non-refundable and non-transferable. All sales are final. Rain or Shine. Please check Dreamland Roller Rink’s Facebook (Dreamland Roller Rink) or instagram (@dreamlandroller) in case of extreme weather conditions for any event cancellations. No change or partial credit will be provided for any components of the package (including Food & Beverage Vouchers not redeemed during the event). This offer has no cash value. Series classes are not transferable. All guests are to comply with the Rink Rules & 2018 /19 Terms and Conditions of Dreamland Roller Rink.